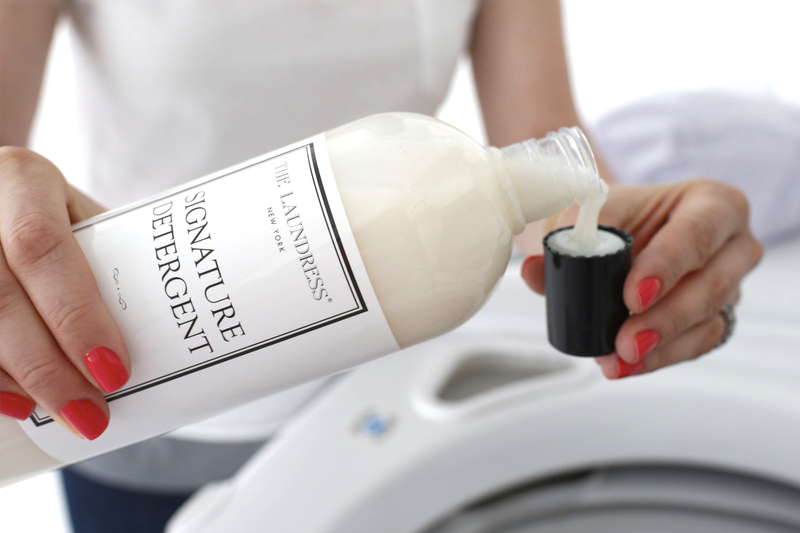 Made from an all-natural formula with nontoxic, biodegradable and allergen-free materials, this fragrance-free version of the classic Signature Detergent by The Laundress whitens, brightens and preserves colors while removing stains. Made with stain-fighting enzymes and mineral-derived enhancers, the Laundress Signature Detergent provides a thorough clean. Click here to read tips for laundering your linens.